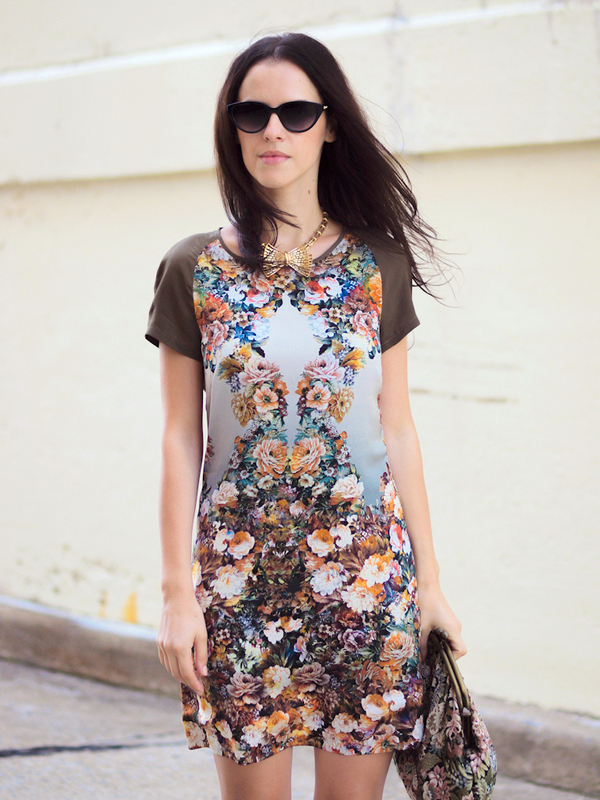 A quick Hello to all of you and a bold printed outfit that captures a visual floral opulence in full bloom. A modern take of Baroque inspired prints for a day out at the Art Museum. Obviously I can't help myself popping prints & colours every day:) I hope you like it! dress look lovely on you! I’m so in love with this outfit! Those vintage flowers are really pretty! Looks so lovely! I’ve been obsessed with flower dresses too lately! Nice combination: dress and clutch. That vintage clutch is the perfect piece to go with this dress! You look gorgeous! Awesome Blog. Like the Photos! You are beautiful! And that dress is divine! I hope you had a lovely weekend! I saw this look on your instagram and immediately fell in love. I adore your pairing skills! two pull off two floral prints at once it’s not an easy task. But you did it perfectly! Superb floral partay! Your clutch is such an amazing piece!